The new Microsoft Teams Admin Center has arrived. Best for us is, that we 1st can slowly prepare for the shift from SfB to Teams. Therefore, it is not possible managing policies easily within this new Admin Portal. This portal is under constant development and will further grow over the comming month. When the migration of these settings is complete, we’ll disable them in the Office 365 Admin center and the Skype for Business Admin center. The following table identifies the sections of the current Teams experience that will be migrated and shows the relationship between the current settings and the policies in the new Admin portal. Settings by user/license type Turn Microsoft Teams on or off for all users Deprecated. Use Office 365 admin center to assign licenses. We plan to migrate Teams settings in sections in the following sequence: Messaging, Meetings, Calls, and lastly, the sections within the TeamsClient Configuration policy (General, Email integration, and Custom cloud storage). You can continue to modify settings in the Office 365 Admin center and the Skype for Business Admin center until migration for a section is complete for your tenant. The following table shows where you can manage features during the migration. 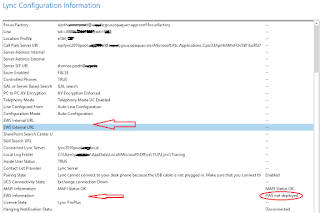 Microsoft will notify you after migration is complete for a specific section within Teams. At that time, you’ll be able to see your existing settings for that section in the Office 365 Admin center, but you won’t be able to make any modifications there. 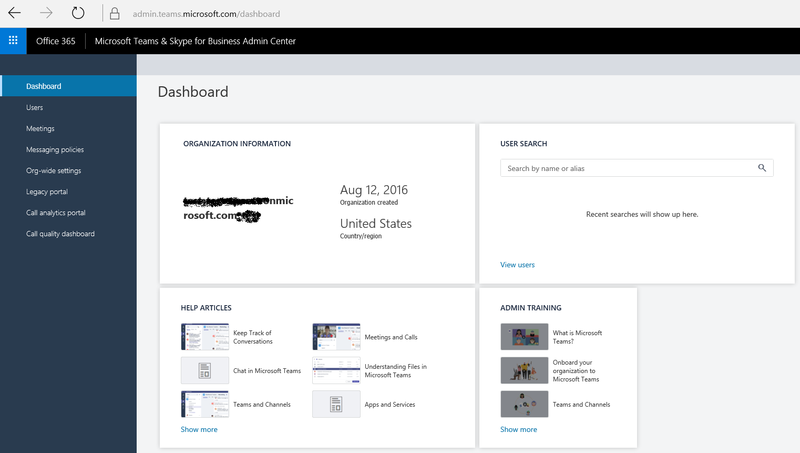 Instead, you’ll use the Microsoft Teams & Skype for Business Admin Center to manage the newly migrated settings.